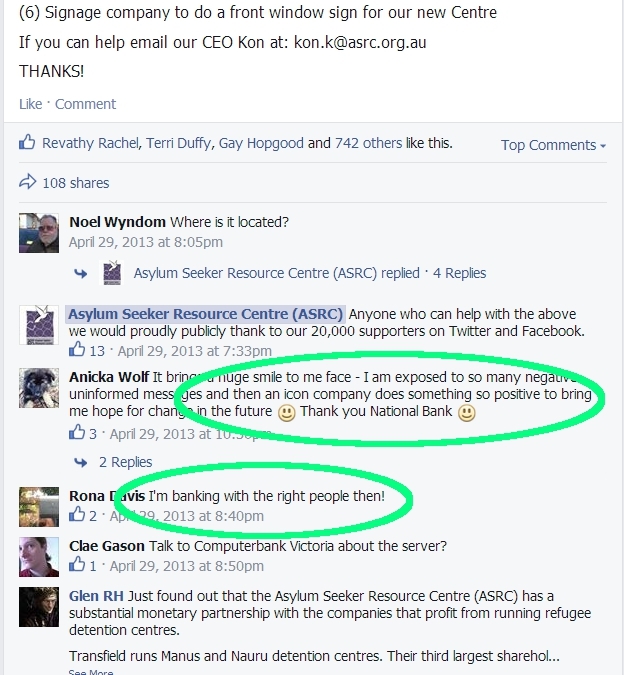 We congratulate the Asylum Seeker Resource Centre for their recent move to publicly distance themselves from the National Australia Bank by removing the NAB from the list of corporate ‘partners’ on their website (25/05/14). Though the ASRC have not yet issued a public statement explaining the decision, the statement of ASRC staff to Crikey suggesting a “re-assessed relationships following the change to offshore providers” [alt url] is a direct response to concerns raised in recent months about NAB’s involvement in funding mandatory detention, through its shareholding in Transfield (TSE). 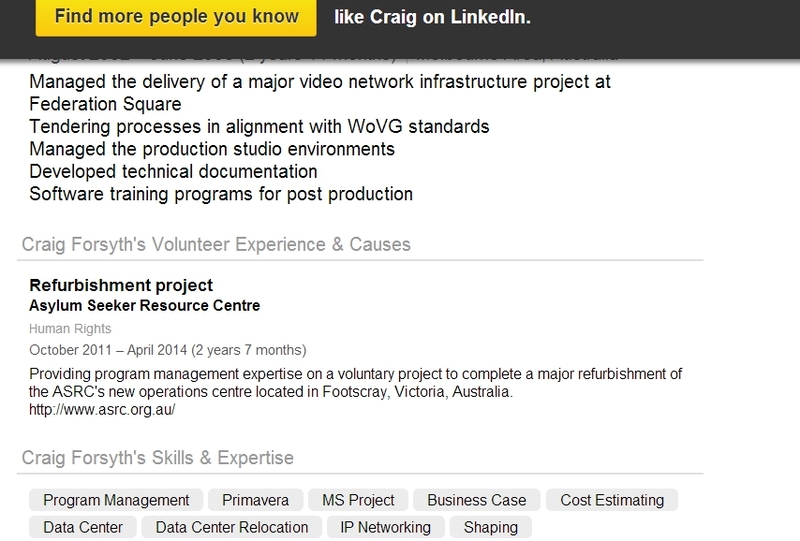 Transfield is the largest detention contractors running Nauru and Manus Island camps. In publicly de-listing the NAB as a partner organisation, the ASRC have taken a significant step in recognising that the responsibility for mandatory detention lies not simply with the Australian government but the many private companies that sponsor and profit from the detention regime. More importantly, the ASRC’s promotion* of the NAB as an ethical investment option (through their website and social media platforms) offered incalculable brand value to NAB. The ASRC’s corporate partnerships offers companies the opportunity to “align your brand to effective, socially responsible solutions”. Clearly the NAB’s significant investment in mandatory detention can no longer be culture-washed as socially-responsible. Recent attempts to claim that the NAB’s recent change in shareholding in Transfield diminished the problems of the ASRC’s association with and advertising of the NAB are simply misdirected. The NAB was merely taking advantage of the rise in Transfield’s shareprice to make a profit, and in any case some of those shares are short-term trades that ASX documentation makes clear will be repurchased. In any event, the issue is not the magnitude of holdings but the fact that the NAB harvests the internment camps for profit and, for as long as it has shares, retains a financial interest in the existence and expansion of mandatory detention. It is crucial that those interests are made public and rejected. 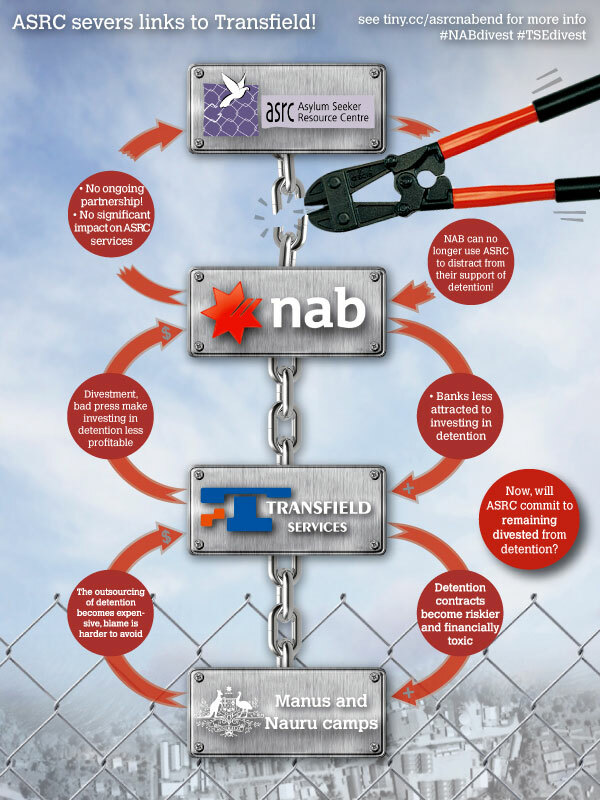 The NAB continue to be one of the largest shareholders in Transfield. The NAB have a choice to make as to whether they want to wish to align themselves with the concentration camps or their closure. There is no compromise here. 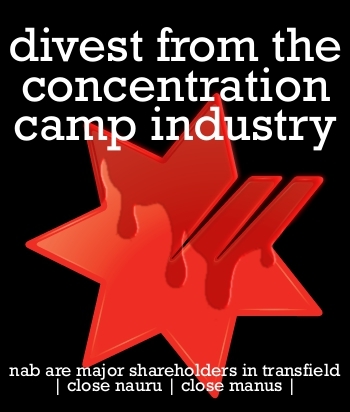 For as long as the NAB do not publicly divest their holdings, they will be known as financiers of the internment camps.